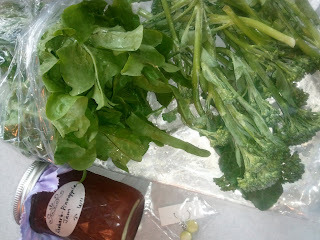 Recent goodies from the Spearfish Farmer's Market! 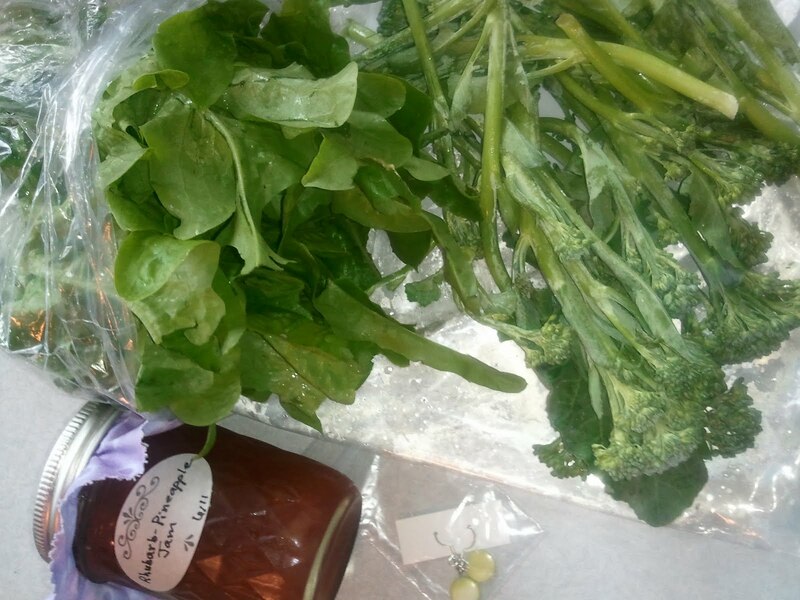 Oak leaf lettuce, broccilli, rhubarb / pineapple jam and some cool earrings. The market runs from 9am - noon every Saturday morning at the City Park in Spearfish. Great selection of fresh produce, bread and hand made item and it's getting better every week. The market is associated with the Hill Horizons Community Garden. The garden is at 590 East Elgin around the corner from the new dog park and next to the horseshoe pits. The view is amazing! There are plots still available and can be purchased here. See you at the Farmer's Market!